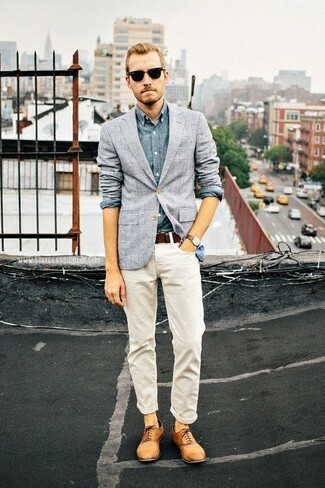 If you're hunting for a casual yet dapper look, pair a Brunello Cucinelli Chambray Button Down Shirt with white chinos. These pieces are very comfortable and will look great together. 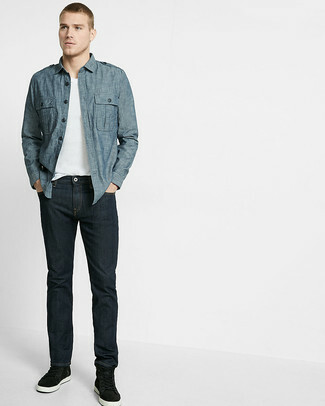 If you're scouting for a casual yet on-trend outfit, consider teaming a blue chambray long sleeve shirt with navy jeans. As well as super comfy, these two pieces look great when paired together. For something more on the daring side to complete this look, opt for a pair of black high top sneakers. If you're searching for a casual yet sharp look, choose a Brunello Cucinelli Chambray Button Down Shirt from Marissa Collections and mint chinos. Both of these pieces are super comfy and look great together. 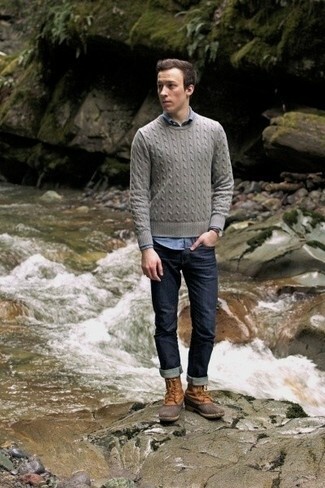 When it comes to footwear, this ensemble is finished off wonderfully with black leather boat shoes. This combination of a Brunello Cucinelli Chambray Button Down Shirt from Marissa Collections and grey plaid dress pants epitomizes elegance and class. Take a classic approach with the footwear and grab a pair of brown leather double monks. If you're after a casual yet seriously stylish getup, choose a Brunello Cucinelli blue chambray long sleeve shirt and red chinos. As well as super comfy, these two pieces look fabulous when worn together. If you're looking for a casual yet stylish outfit, consider pairing a Brunello Cucinelli blue chambray long sleeve shirt with white jeans. These garments are very comfy and look wonderful paired together. 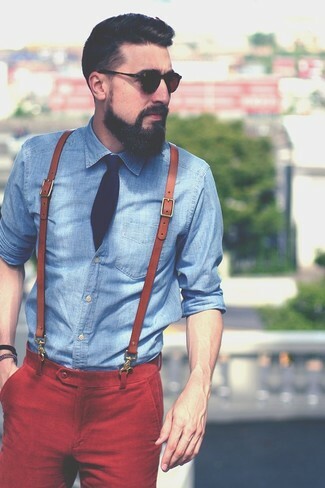 To add more class to your outfit, round off with tan leather oxford shoes. 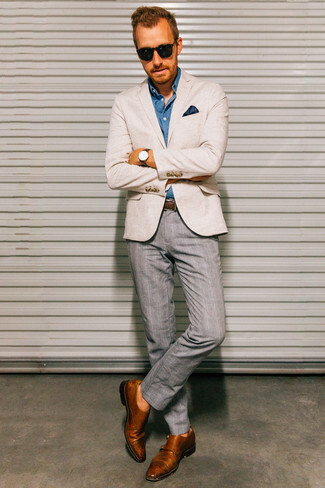 This combo of a Brunello Cucinelli blue chambray long sleeve shirt and grey jeans is clean, dapper and very easy to recreate. 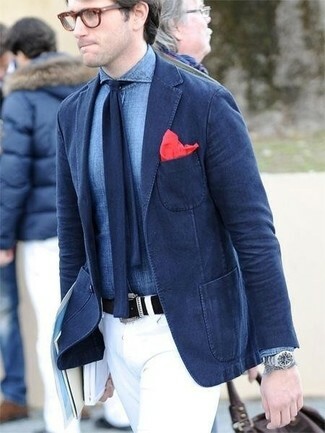 This pairing of a blue chambray long sleeve shirt and navy jeans is clean, stylish and so easy to copy. Grab a pair of tan snow boots to make the outfit more current. You'll be amazed at how very easy it is to put together this outfit. 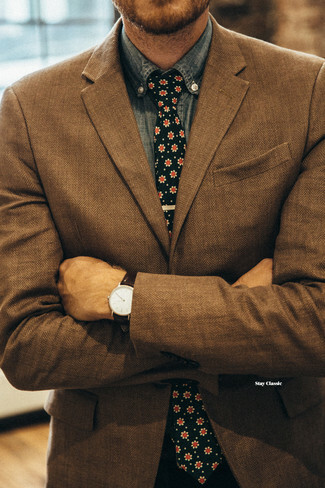 Just a Brunello Cucinelli Chambray Button Down Shirt from Marissa Collections and a brown herringbone blazer.